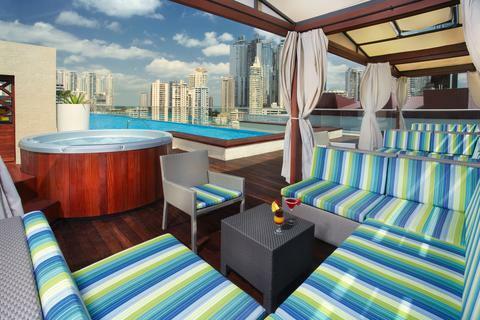 Panama is a country in Central America with coastlines on the Caribbean Sea and the North Pacific Ocean. It has land borders with Colombia (and South America) to the southeast and Costa Rica to the northwest. Its location on the isthmus that forms the land bridge connecting North and South America has been militarily strategic through history. It controls the Panama Canal that links the North Atlantic Ocean via the Caribbean Sea with the North Pacific Ocean, one of the most important shipping routes in the world. 1 Panama City — the capital with 3 districts of interest: the new city, the old city, and the colonial city. From here you can take a day trip to Miraflores - the locks are a good place to view the ships rising and falling as they pass through the Panama Canal. 1 Coiba National Marine Park — frequently referred to as the Galapagos of Central America for its abundance of rare species in both the water and on land. Here you can scuba and snorkel and see some of the most rare pelagic species of marine life in the world. 2 La Amistad International Park — is Panama's second largest park, covering over 850 square miles (207,000 hectares). It is a bi-national park, as an additional 193,929 hectares stretch to the Costa Rica side. Amistad is the Spanish word for friendship and it was create to promote friendship between the two countries. 3 Parque Nacional Marino Golfo de Chiriquí — in the Gulf of Chiriqui, is dotted with dozens of small islands and islets, including Boca Brava, Isla Palenque, and Islas Secas. The area has some of the best sport fishing and whale watching in the region, and several resorts and boutique hotels have opened in the area since the mid-2000s. 4 El Valle — charming little town nestled in the second biggest inhabited volcanic caldera in the world. 8 Volcan Barú National Park — 35,000 acres/14,325 hectares in size, and Panama's highest peak at 11,401 feet/3,475 meters is here. The ease of travel and wide array of experiences make Panama one of the most attractive emerging tourism destinations in the world. In just one week, visitors can enjoy two oceans, experience the mountains and rainforest, learn about native cultures and take advantage of vibrant urban life. The capital, Panama City, is a modern, sophisticated metropolis that resembles Miami and has established commerce, arts, fashion and dining. Panama is known as the "Crossroads of the Americas" due to its privileged position between North and South America. The indigenous meaning of the country's name, "abundance of fish", reflects Panama's reputation as a paradise for water sports enthusiasts and eco-tourists. As the isthmus connecting two massive continents, Panama's flora and fauna is incredibly diverse. For example, Panama has been named the country with the most bird species in the world: over 900. Panama's many indigenous tribes are still thriving, living in the same ancient manner as their ancestors, making its cultural fabric exceptionally rich. Panama's government has strong ties to the United States and strongly supports business, development and tourism. The International Monetary Fund applauds the country's diversified economy and predicts it to have one of the strongest GDP growth rates in the world for the next several years. Panama is known for its highly developed international banking sector, with about 80 banks from several countries establishing local branches, including HSBC, BBVA and Citi Bank. The canal, which is being expanded, continues to drive Panama's service-based economy and remains one of the most important transportation links in the world. In addition to the country's strong economic base, Panama's physical infrastructure, including modern hospitals, airports and roads, is much more highly developed than its Central American neighbors. 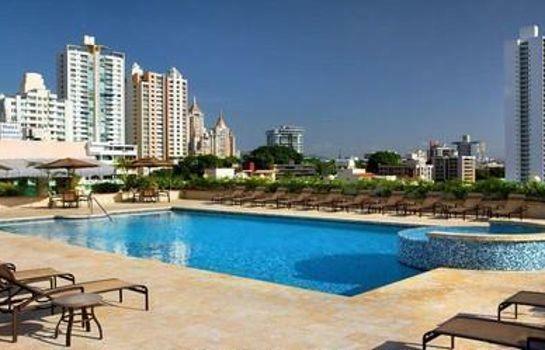 Panama has a large expatriate community; about 25,000 US citizens live in the country. It is worth spending some time reading up on Panama and communicating with locals, expats, and fellow travelers before arriving in the country. Consider joining some local forums or blogs for expats or the Central America Forum. Many of the local blogs can give you the most current information on: floods, earthquakes, trail closings, and the best restaurants. Less than 9 degrees north of the equator, most of Panama enjoys temperatures that are fairly consistent year round, with daytime temperatures in the 90s F (30–33°C) and nighttime around 70°F (21–23°C). Tropical maritime; hot, humid, cloudy; prolonged rainy season, called winter or invierno (May to November); short dry season, called summer or verano (December to April). The most popular time to travel to Panama is December through March, when lack of humidity and nearly zero percent chance of rain make it ideal for travellers. During most of the rainy season, mornings and early afternoons are usually sunny while late afternoons and evenings have intermittent rainfall. Most areas are quite warm, but a few places, such as Boquete, Cerro Punta and El Valle can get a little chilly at night. You definitely want a heavy rain-proof jacket if you're going to the top of Barú since you will be above 3000 m for a little while. Natural hazards: Occasional severe storms and forest fires in the remote Darien area. Hurricane-strong winds are only a very small possibility in Panama. Because of its geographic position, it is very unlikely that Panama could be in the path of any hurricane, unlike the other Central American countries. Panama was colonized mainly by the Spanish. Scotland, which was an independent country at the time, made a short-lived attempt to colonize it in the late 17th and early 18th century. It failed so spectacularly that it caused the bankruptcy of the Scottish treasury and - as a consequence of that - the union with England that continues to this day. For most of its colonial history, Panama was administered as part of Colombia. It gained independence from Spain as part of "Gran Colombia", which later broke apart into several smaller countries, most of them today flying blue red yellow flags. The last part to break away was Panama. With US backing, Panama seceded from Colombia in 1903 and promptly signed a treaty with the US allowing for the construction of a canal and US sovereignty over a strip of land on either side of the structure (the Panama Canal Zone). The Panama Canal was built by the US Army Corps of Engineers between 1904 and 1914. The treaty became infamous as "the treaty no Panamanian ever signed". It was largely repealed by the Carter administration, which promised to return the Canal Zone by 1999 (which President Clinton did). Panama's domestic and especially foreign policies have historically been dependent on the opinion of the administration in Washington. No openly anti-US president of Panama has been able to cling to power for long. On 7 September 1977, an agreement was signed for the complete transfer of the canal from the US to Panama by the end of 1999. Certain portions of the zone and increasing responsibility over the canal were turned over in the intervening years. The entire Panama Canal, the area supporting the canal, and remaining US military bases were turned over to Panama by or on 31 December 1999. Panama has a history of military strongmen ruling with little or no regard for the law and the constitution, the last of which was Manuel "Pineapple Face" Noriega. Noriega died in Panamanian custody after being deposed by a US military intervention with the name "Just Cause" (the just cause in question being an end to his drug smuggling regime). Noriega had been a de facto client of the US for some time before that. After this upheaval, Panama decided to follow in the footsteps of its northern neighbor, Costa Rica, and abolished its military. Today Panama is nominally even richer than peaceful "Switzerland of Central America" Costa Rica to the North and Colombia to the South and thus draws quite a few immigrants. However, much of that wealth is dependent on the canal and issues such as inequality and corruption that have hampered other parts of Latin America are not unknown in Panama, either. Citizens from the following countries do not need a visa to enter Panama because their countries hold treaties with Panama that entitle their citizens to visit for up to 180 days without a visa, having a passport valid for at least 6 months upon entry: Andorra, Angola, Antigua y Barbuda, Arabia Saudi, Argentina, Armenia, Austria, Australia, Bahamas, Barbados, Belize, Belarus, Belgium, Botswana, Bhutan, Brazil, Bolivia, Bosnia and Herzegovina, Brunei Darussalam, Bulgaria, Cape Verde, Cambodia, Canada, Czech Republic, Chile, Colombia, Comoros, Costa Rica, Croatia, Cyprus, Denmark, Dominica, Ecuador, El Salvador, Egypt, Fiji, Estonia, Finland, France, Gabon, Germany, Georgia, Gibraltar, Granada, Greece, Guatemala, Guyana, Holland, Honduras, Hungary, Iceland, Italy, Ireland, Israel, Japan, Jamaica, Kenia, Kiribati, Latvia, Lebanon, Lithuania, Kuwait, Letonia, Liechtenstein, Luxembourg, Madagascar, Malaysia, Maldives, Malta, Marshall Islands, Mauritius, Micronesia, Mexico, Moldova, Monaco, Mongolia, Montenegro, Namibia, Nauru, Netherlands, New Zealand, Nicaragua, North Korea, North Macedonia, Norway, Palau, Papua New Guinea, Paraguay, Peru, Poland, Portugal, Qatar, Romania, Russian Federation, Saint Kitts y Nevis, Saint Lucia, Solomon Islands, Samoa, São Tomé and Príncipe, San Marino, Serbia, Seychelles, Singapore, Slovak Republic, Slovenia, South Africa, South Korea, Spain, Sweden, Switzerland, Taiwan, Thailand, Tonga, The Vatican, Trinidad and Tobago, Turkey, Tuvalu, Ukraine, United Arab Emirates, United Kingdom, United States, Uruguay, Vanuatu and Vietnam. Citizens of China with a endorsed "public of affairs" passport do not require a visa for 180 days also. Holders of diplomatic, official or service passports of China, Cuba, Haiti and Philippines do not require a visa. Recommended vaccination for yellow fever—only if coming from a country where yellow fever occurs (includes most of South America and Africa but not USA). In practice, border officials may be lax about checking these requirements for travelers coming from the EU, US or other developed countries. Also, because your tourist visa will be stamped in your passport, it is important to carry at least a photocopy/picture of the ID page and the page with the tourist visa stamp at all times. International flights arrive at Tocumen International Airport (PTY IATA), which lies about 32 km (20 miles) east of Panama City (from all countries) or David Airport (from Costa Rica on AirPanama). Panama City's PTY is well connected with the Americas by Copa Airlines (the 'national flag' carrier and member of the Star Alliance) which has non-stop flights to almost 20 countries in the western hemisphere in addition to other foreign carriers such as American Airlines, LATAM, and Avianca. Neighboring Colombia is especially well served with daily flights to more than 7 cities, including Bogota, Medellín, Cali and Cartagena by Avianca and Copa Airlines. Local travelers and tourists can also fly in and out of Bocas del Toro via Costa Rica. The country has more private airstrips per square mile than any other country in the world, and it is feasible for the adventurous private pilot to fly to one of them, either directly or through country hopping through Central America. Many of the remote interior regions of the country are best accessed by private plane, although a combination of hiking and canoeing can get you to most places, too. If you are flying a private aircraft into Panama, it is important to verify where you can clear customs and immigration--not all airstrips are equipped to clear you. From Costa Rica, you can drive across at Paso Canoas (Pacific side) which closes at 11PM (Panama side) or 10PM (Costa Rica side); however, it is one of the busiest and most disorganized border crossings in Central America. It is very easy to accidentally drive across the border without realizing it. The various offices at the border are randomly scattered throughout the bordertown, and you can do quite a bit of trekking while finding them, as they don't look distinct from the surrounding buildings in any way. This is one crossing where it is definitely worth your money to hire a "tramitator", or helper, to assist you through the stations, if you do not speak Spanish. There are no roads connecting Panama and Colombia. The Darien Gap that physically connects the two countries has little to no infrastructure and is dominated by paramilitaries and drug cartels. You will not be allowed to leave the country without your car (i.e., change your mind, abandon the car, and fly home) without getting a stamp on your passport proving that you have paid the proper impuestos (importation taxes) on your vehicle. Expect to be stopped frequently by police, but don't worry, they are usually more curious about seeing a foreign car than interested in a bribe. If you have car trouble in Panama, you will find dealers with service departments for almost all of the major car manufacturers from the USA (all), Europe (almost all) and Japan (all). Most of them, like in the USA require appointments to service your car. Most of the service personnel in all of the car dealers are manufacturer certify. If you need car repairs and do not want to go to a dealer to save some money or you have an emergency repair, you can find good independent mechanic services/shops in all of the major cities by looking in the yellow pages (paginas amarillas), in addition to towing services. If you need parts for your vehicle, you can find a great number of autopart stores for all major car manufacturers in the yellow pages too. The use of "shade tree mechanics" and parts from junkyards are the same as in the USA: these options are for do-it-yourself type of people. 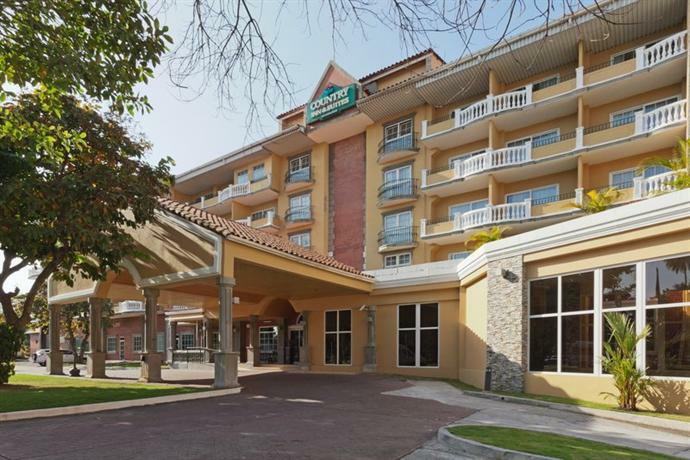 If you want to save time yet not pay $280 or so for a SJO-PTY airplane ticket with Avianca or Copa Airlines, you could consider taking the bus from San Jose to Changuinola and fly from there to Panama city. That flight takes about one hour and costs $110 (Nov 2011). Check the website of Aeroperlas for flight schedules. Panamanian law requires you to have a return ticket to get into Panama. The border guard may not check, but you never know. A return flight from San Jose, Bogotá or Abu Dhabi won't work. The return ticket has to originate from within Panama. If you run into this problem, you can always buy a return ticket from the bus driver. In general, if you're having a hot-tempered day, it may not be a good day to cross any borders. Some border officials in Central America seem to love being sticklers about their crazy rules if they decide they don't like you. Many cruise lines have the Panama Canal on their itineraries. You can make tours in Panama City or Colón City and take part in many packages. Private sail boats also provide service between Panama and Cartagena in Colombia. Fare can vary from US$400-500, and the trip takes usually four nights/five days including a two-day stopover in San Blas Islands (Carti Islands). The best way to find a boat is to ask around in hostels in Panama City or Portobelo popular with backpackers. The cheapest way to reach Panama by boat from Colombia is by ferry from Turbo to Capurganá (COP$ 55,000, daily around 8AM) and by small boat from Capurganá to Puerto Obaldia (COP$ 25,000, daily around 7AM). From there by plane to Panama City (US$95) or by boat to Colon and Carti Islands. "Do not go naked into the water, some very undesirable protozoans can get into you. Do not drink untreated water. Never stray from the group, you can easily lose your bearings and get lost. If this happens, stay right where you are, do not panic. Shout or scream at intervals." The rest of Panama has drinkable water. There are two kinds of buses in Panama: the ones you find on the highway, and "city buses" (Metrobuses, which replaced the Diablos Rojos (Red Devils). The highway buses are constantly making journeys from terminals in Panama city to different destinations along the Pan American Highway, and back to the terminal. They're pretty frequent, and the buses will pick you up or drop you off at any point along their route, and most of them are air conditioned. The roughly linear shape of the country makes it ideal for a bus system, so ideal in fact that you don't really need to rent a car to get around most areas. Take a bus to the intersection on the Pan American highway that you want. You can get on a bus any place on the Pan American highway going towards Panama City, but all trips originating from within the city require a ticket. The Grand Terminal in the city is large and modern, and will remind you of an American shopping mall or airport (it actually is a shopping mall, Albrook Mall, too). Schedules for all Panama are listed at HorarioDeBuses.com/pa. Never ask for the fare in the bus, the bus drivers will most certainly always round up numbers in that case. Instead, know the fare beforehand (by asking the locals) and give the exact change. Or give a round number and look as if you expect change or demand it holding your hand forward, pretending to know the right fare. If your destination is far off the bus route, or if you just want to be lazy, taxis are also a decent way to get around in Panama. Taxi rates are negotiated and vary depending on location. Most short taxi rides are $2.50 and going across town is about $5. Unlike the urban taxis you may be used to, they can take you way out into the country. A taxi ride from Tocumen airport to Panama City, at a minimum of $30, can easily exceed your taxi fares for the rest of your trip combined. If you share a taxi ride with other passengers going from the airport to the city, your fare per person can be cheaper, at around $12. You can save quite a bit of money by taking the bus to the Gran Terminal, but even the bus fares will be higher than normal. Panama is in the south of Central America and can easily be discovered independently. The road system of Panama is in very good condition (for Central and South American standards). You can rent a car and drive it around the country if you are an excellent defensive driver. While traveling by car you can discover attractions that are hard or impossible to reach with public transportation. The Pan American Highway is paved for the entire length of the country, and has many roads which branch off to towns off the highway, most of which are paved, and most of the rest are still easily navigable in a sedan. However, road engineering standards are low, so be on the lookout for off camber turns, deep potholes, and sharp turns with no warning. It is highly recommended to drive well informed about your route. Use the detailed information which cochera andina provides on its site when planning your trip and check out road conditions, distances and travel times. On the road, don’t forget to take also a good road map with you. For driving in Panama you need the driver’s license of your country but to avoid trouble at police controls it is better to have an international driver's license with you as well. The traffic rules are almost the same as in Europe or the U.S. Road signs are frequent. The speed limits are 40 km/h within cities, 80 km/h outside and 100 km/h on the highways. You will find gas stations all over Panama. A lot of stations are open around the clock. Three types of gasoline are available: unleaded, super and diesel. For driving in the Corredor Sur and Corredor Norte highways, both toll roads, the only accepted payment method is the Panapass card; not having one will incur in a fine. Local airlines serve many airports in Panama. Aeroperlas and AirPanama being the two local companies. Flights leave Panama City from Marcos Gelabert Airport in Albrook. Booking private aircraft charters are available through online and local companies. It is advisable to check the tail number of any aircraft chartered in Panama. All registered aircraft authorized for public charter work (air taxi) will have a letters after their numeric tail number (e.g., HP-0000TD). This signifies the aircraft is insured for charter work and is subjected to more inspections and increased maintenance requirements. Take the Panama Canal Railway from Panama City to Colón or vice versa. The first train made this trip in 1855 (though the line has since been abandoned and rebuilt in standard gauge) and it was the first interoceanic railway in the Americas, predating the transcontinental railroad in the US by a decade and a half. While the primary purpose of the railroad is the cargo business, a passenger train runs once per day and direction and is very much marketed as a luxury train, trying to justify the $25 one way fare. If you cross the border from Costa Rica into Panama, you will notice a large change in the dialect. True to its Caribbean orientation, Panamanian Spanish sounds much closer to Puerto Rican than Tico or Nicaraguan Spanish. For students of Mexican or European Spanish, it may take a little getting used to. However, it is very easy to understand and it is by no means more difficult than other Spanish-speaking countries. Panamanians tend to pronounce "h" instead of "s" and to not pronounce certain Ds at the end of certain words. It is part of their dialect but Panamanians are fully capable of speaking Spanish in a manner more intelligible to students of Mexican or Castillian Spanish, and they are aware of their regional idiosyncrasies. Panama City has a different dialect in which they mix English words with Spanish. Although educated Panamanians try to speak proper Spanish, they are very proud of their dialect and would rather use it unless it is a formal conversation or public speaking. Until only a few years ago, the canal was controlled by the USA. The US has given the canal back to Panama, but many people in Panama City and other areas near the canal still speak English as a first or second language. Surprisingly, English is not as common as you would think considering how long the Americans spent in the country. It's not so common for people working in shops or people in the street to speak English. There are a number of English news and blog sites to help with your travels. The Panama Canal - one of the world's most important interoceanic connections and probably the first thing that comes to your mind when thinking about Panama. There are different ways to explore the canal: the most visited place at the canal is the Miraflores Visitor Center / Miraflores Locks in Panama City (see the city's article for details). It is located at the old canal with its smaller locks for smaller ships, but still very impressive. To see the new, expanded canal, you can visit the Agua Clara Visitor Center in the city of Colon (Panama), on the caribean side of the canal. In addition, it is also possible to book a luxury train ride along the canal, or a boat ride on the canal. Panama City - being not only the capital city of, but also by far the biggest and most populous city in Panama, it is the economic and cultural heart of the country. La Amistad International Park (shared with Costa Rica). Panama's strongest attraction is its diversity. In less than five days you can visit it all: beach, mountain, modern city and historic ruins. While in Panama city don't miss the four "must do": the Panama Canal, Panama Viejo, Casco Antiguo (also known as Casco Viejo) and the jungles surrounding the Canal area. Panama Viejo was the first city of Panama, founded by the Spanish in 1519. It was the first city founded at the Pacific and it became rapidly a prosperous point where gold from the southern colonies would make it to the Caribbean and later to Europe. It was attacked by pirates several times, the last of them by Pirate Henry Morgan who destroyed it in 1671. In 1673, a new city was built, but this time using the knowledge painfully acquired by experience. The Spanish by then knew well the risks of settling cities in tropical swamps: mosquitoes, tropical diseases and difficulty to defend its territory. The second city was founded at the opposite side of the bay in very different conditions: a rocky peninsula easy to defend and with crossed winds that would ensure the health of its inhabitants. This city is known today as Casco Antiguo, and it is here where the Republic of Panama was born as it is known today. A UNESCO protected site, Casco Antiguo (or Casco Viejo) is Panama City's second touristic destination because its buildings reflect the diversity of Panamanian society. Although a Spanish colonial city, because of several fires and the influence of merchants from all around the world, it became a vibrant city with styles ranging from Caribbean to French and even Art Deco. Today, Casco Antiguo undergoes an interesting revitalization process. Boutique hotels have started to appear, and some of the best bars and restaurants of the city can be found here. 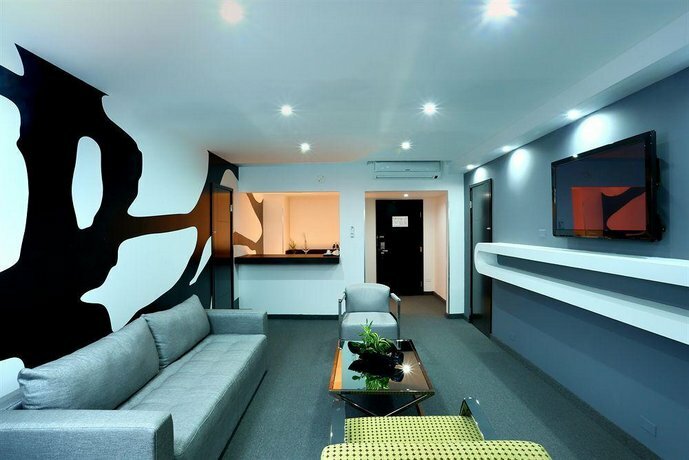 It has also become Panama City's artistic center with the recurrent art events and shows such as the Panama Jazz Festival, the Music Festival, Sobresaltos Dance Festival and many others. Parque Soberania, Parque Chagres and Parque Metropolitano: fifteen minutes away from modern Panama City, you'll be able to hike primary and secondary tropical rainforests. There are several activities you can do here, from birdwatching at Gamboa's Pipeline Road to fishing at the Gatun Lake or visits of the caves at Madden. For those interested in research, the Smithsonian Tropical Research Institute offers visitors educational tours to Barro Colorado Island, one of the most studied jungles in the world. A visit to the Panama Canal is probably the most important item in the traveler's list. There are several ways you can experience the canal, it will depend on your level of interest. For the curious visitor, there are two museums devoted to it: the Canal Museum at Casco Antiguo, featuring Panama's history as a crossroads of cultures, oceans and a bridge between continents and a second museum is located at the Miraflores Locks. This museum shows the technical aspects of the Canal. You can observe the transits at the balcony of the restaurant on the top. Hiking: There are many hiking trails in Panama through the numerous National Parks. Most are accessible and easy enough to traverse without a guide. However, due to the density of some of the rainforests, staying on the designated trail is recommended, if you don’t have a guide. To increase your chance of actually seeing wildlife, birds, or Quetzals in Boquete, you can hire a guide. In the Darien unguided travel can be dangerous. Because Panama is one of the top adventure destinations, there are many reputable tour companies offering guided treks throughout the country. Quetzal Trail: Within the National Park, Boquete, is perhaps the most famous hiking trail in all of Panama. Visitors come from all over the world to have an opportunity to see the Resplendent Quetzal. Although the trail is easy enough to hike by yourself, unless you are an experienced birder, you might not spot a Quetzal. It is wise to hire a guide. Zip-line canopy: There is nothing more exciting than flying over the canopy on a zip-line. You can find zip line canopy adventures in Panama City, Cocle, Bocas del Toro, and Boquete. Scuba diving and Snorkeling: Both the Atlantic (Bocas del Toro) and Pacific (Gulf of Chiriqui) offer incredible water sport opportunities. For Caribbean coral and reef fish, go Atlantic. For rare pelagic species and the best whale watching in the world, go Pacific. Fishing: The Gulf of Chiriqui is known among sport fishermen to be one of the best spots in Central America. Saltwater Sportsman Magazine recently named Panama as the best place on earth to catch the Black Marlin. On the other side of the country, near the border with Colombia on the Pacific side, you can also find Piñas Bay and the Zane Gray Reef, which is renown worldwide as one of the best fishing spots in the worlds (and in Piñas Bay, you will also find the Tropic Star Lodge). Coffee tasting: Boquete, Panama has now become synonymous with some of the best coffee in the world. It has always been a coffee producing region. You can visit a coffee estate for a tasting and explanation of the coffee process. For a single estate visit Ruiz or take a tour of multiple estates, like a wine tour, with Boquete Safari Tours. White water rafting: World class white water rafting can be found on the Chagres River, 1 to 2 hours from Panama City; in the Chiriqui Province, on the Rio Chiriqui Viejo; and the Rio Grande, Cocle Province. There is usually enough water to paddle year around. However, the highest water level is in November, at the end of the rainy season, and the lowest water level is in May, at the end of the dry season. Class I to Class V rapids can be found in Panama. The classes are based upon Panamanian classifications. During the rainy season, the Panama class III’s are easily comparable to U.S. class IVs. Kayaking: Ocean and river kayaking can be found in the Chiriqui Province. Boquete has many outfitters as the rivers are perfect for rafting and kayaking. And the Gulf of Chiriqui is protected by many islands, making the calm waters perfect for kayaking; white powdery beaches filled with wildlife. Birding: There are over 960 species of birds in Panama. Many are only found in this region. The Panama Audubon Society is a good source of information on the bird population by region. Hot springs: Even though the volcano has been dormant for over 600 years, there are still thermal springs bubbling up around it. The Chiriqui Province has several areas with active springs. In Volcan, on the northern side of the Volcan Baru, about 30 minutes from town, there are several springs; however, due to the mineral content, there is a slight sulfur smell. In the Boquete region there are several hot springs to choose from. A local land owner in Caldera has started to develop his bubbling spring (no sulfur smell), and hopes to make it more like a 'spa'. However, it is not that easy to access yet; 4-wheel drive is required. Panama has used the US dollar ("$") as its only currency since 1904 although Panamanians often refer to it as balboa. Panama has its own coins, made by the US Mint, in the same weights and sizes as US coinage, but with Panamanian stampings. The Panamanian coinage is completely interchangeable with standard US coinage in Panama. You may get a handful of change back with a conquistador on the quarter and an Indian on one of your pennies, but Lincoln on the other penny and Roosevelt on the dime. Panama also still mints half dollars. You may hear these half dollars called pesos, but don't think you've accidentally ended up in Mexico. If you run short on change in the United States, Panamanian coins work in parking meters, payphones, vending machines, etc. You can typically use a credit card at all hotels in the capital, and in medium-sized regional cities (David, Las Tablas, Colon, Santiago, Bocas del Toro, etc.) Restaurants, grocery stores, and department stores in major cities will also usually take credit, or even debit cards. However, outside the capital using your card could be difficult. Though Panamanian ATMs function on the Cirrus/Plus system, they may not take cards with the Interlink symbol. Make sure you're carrying a lot of cash (especially small bills) and understand how to take cash advances out on your credit card. Travelers checks are not widely used. There is generally a withdrawal fee of $5.25 for withdrawing cash from ATMs with a (Visa) credit cards. Hence, it makes sense to withdraw larger amounts to keep the fees low. There are 91 banks in Panama . Opening hours vary widely from bank to bank. On weekdays, all banks are open until at least 3PM, and some until 7PM. On Saturdays many banks are open until noon, and some branches located in shopping centers are also open on Sundays. Note that most banks will not allow you to enter wearing shorts and/or flip-flops. Panama is home to the hemisphere's largest free trade zone, the Colon Free Zone. There are also a number of large, American-style malls, such as Multicentro, Albrook Mall, Multiplaza Pacific, and the latest Metromall. However, prices vary widely from mall to mall - Albrook is quite cheap, while Multiplaza is home to designer boutiques and very high prices. 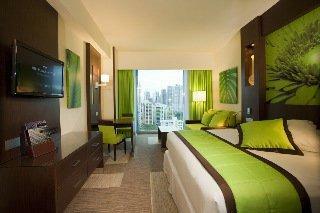 Generally Panama is a good place to buy consumer electronics, clothing and cosmetics. Traditional Panamanian crafts can be found most cheaply at artesania markets, such as the YMCA in Balboa and the market in Panama Viejo. In Panama City, the best handicrafts can be found at REPROSA. Panama's best-known craft is the mola, intricate reverse-applique handwork made by the Kuna. Molas can also be bought from vendors on the seawall in Casco Viejo. Other Panamanian crafts include carved tagua nuts, cocobolo carvings of animals, and woven palm-fiber baskets. There is a smaller craft market in El Valle, which specializes in soapstone carvings and other central Panamanian crafts. A typical plate in a humble, family restaurant can range from $1.25 to $5.00, including your choice of meat: mondongo (beef stomach), fried or baked chicken, pork, beef and sometimes fried fish; rice, beans, salad: cabbage, carrot & mayonnaise; beet salad; green salad; potato or macaroni salad; and patacones (fried green plantains). The Panamanians also enjoy their "chichas" (fruit, water & sugar), of which there is always a selection, ranging from tamarindo, maracuya (passionfruit), mango, papaya, jugo de caña (sugar cane juice), or agua de pipa (juice from young green coconuts). If you like your food picante, Panama may not be the place for you. They definitely have several hot sauces, but the emphasis is not on the heat. You can get excellent food really cheap if you look around. A quick and cheap lunch can be found at the so-called Fondas, which are small eateries located near schools, sports stadiums and in industrial areas where workers and students will have their afternoon meal. There are often several of these Fondas clustered together so just look for the one with the longest line and you can count on it having the best food for the money. A full plate of rice and beans with a large piece of chicken and a small salad will cost around $2-$2.50 plus the cost of a Coke (Squirt is very popular with lunch). If you choose to eat your food at the Fonda you will be given a real plate and actual silverware as well as a glass bottle of soda with a straw (be sure to return the empty bottle). The local food is far more tasty than the typical Subway sandwich, Whopper or KFC meal and a lot cheaper. If you eat at the same location often enough you will move from the status of a crazy gringo who must have gotten lost on the way to the Burger King to just another one of the locals enjoying lunch and casual conversation (in an industrial area the patrons will be mostly men and the subject of conversation mostly football and women). The equivalent of a 5-star meal with drinks can be $8-30 in some places. National beers are produced (Balboa, Atlas, Soberana, Panamá), but don't measure up to a good import. Balboa is probably the best of the domestic brands, however, Atlas is the most commonly purchased; many women favor Soberana. Beer can cost as low as $0.30 per 12 oz. can in a supermarket or anywhere from $0.50 in a local town bar up to $2.50 in upscale bars. Carnaval is the main celebration in the country. It is held 40 days before the Christian Holy Week, running through the weekend and ending on Ash Wednesday (February 21-24 in 2009). The largest celebration being held in the province of Azuero, in the town of Las Tablas, where two streets compete with separate queens, activities, parades and musical performances. Many discos and bars fill the capital city. The area known as "Calle Uruguay" has probably a dozen or so nice discos and bars within a two-block radius, and is the best place for partying. Calle Uruguay bar area is a very trendy scene. You will find here many restaurants such as La Posta, Peperoncini, Habibis, Tomate y Amor, Madame Chang, Burgues or Lima Limon, which make up a great pre-party event. After diner you can cross over to Prive, Pure, Loft, Guru or People for a more fashionable club scene. If you want a more relaxed bar, Sahara and The Londoner offer retro music and pool tables. Another great spot for "bar hopping" is Zona Viva in the Amador Causeway. 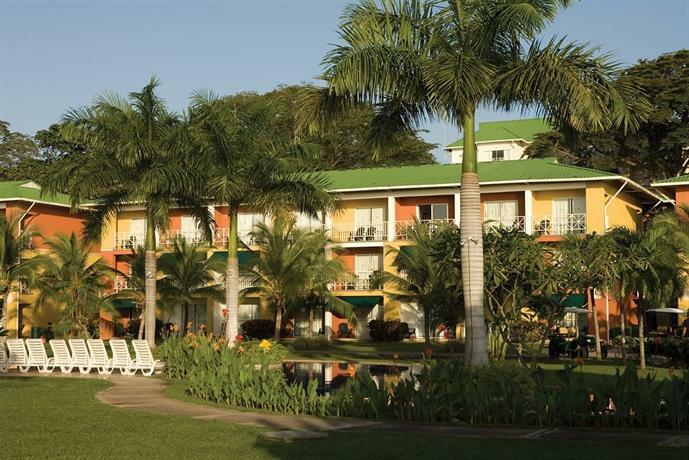 Zona Viva is a closed off area so it is very easy for you to find everything in one place. You will find here clubs such as Jet Set Club, the Building, the Chill Out Zone, X Space. Bocas del Toro has typical island cabanas and small hotels, some literally right on the water (similar to the cabanas in Bali). The Chiriqui Province, in the western lowlands, has small hotels on some of the outer islands, and an Eco-Preserve in Chorcha where you can spend the night in Jungle Hammocks with the monkeys. In the western highlands, around Boquete, there are hostels for $5 a night, and 5-star hotels for $300 a night or more. No high rises here, but small very artsy boutique hotels and casitas. David Panama, capital of the Chiriqui Province, has become a destination and a hub for backpackers crossing from Panama City to Bocas Del Toro and Costa Rica. Panama offers many universities and high schools that are bilingual and world class. There's an ongoing project called City of Knowledge that consists of several educational programmes in the old installations of a former US military base (Clayton). There is also a school at Justo Arosemena who teaches mainly to German speaking people, but it might be worth a glance at the UDI-Universidad del Istmo. There's also a Florida State University branch , as many other alternatives. Most of Panama is very safe. People in rural areas are generally extremely friendly and very helpful. If you want to visit Latin America, but are paranoid about security, Panama might be a good place to cut your teeth. One exception is the border region between Panama and Colombia, which is considered extraordinarily dangerous due to Colombian rebel groups and drug traffickers. Most of the city of Colon is considered dangerous , and some neighborhoods in Panama City are a bit sketchy, in particular El Chorrillo, Curundu and El Marañón, poor and crime-ridden areas. The old colonial quarter, Casco Viejo (also called San Felipe) has a lingering bad reputation among travelers and some Panamanians, but is gentrifying rapidly. During the daytime, San Felipe is perfectly safe for foreigners. At night, the main streets and plazas, as well as the district of bars and restaurants toward the point, are also safe, but visitors should exercise caution as they move north along Avenida Central towards Chorillo. The moisture and heat of the tropics can encourage yeast infections. 3-day and 5-day treatment courses are available in pharmacies, but must be purchased from the pharmacist. Panama has one of the most advanced telecommunications systems in Latin America. this is due to the fact that most major submarine fiber cables cross the Panama Canal, either by land or water. Calls to the USA and Europe are between 4 and 10 cents a minute. The best way to make international calls from Panama is to buy prepaid telephone cards that are sold at every corner. They can also be bought at Tocumen Airport but at a much higher price than in the local shops. Petty theft is common in rural and urban areas of Panama, especially in Panama City and Colón. Violent crime is rare, but does occur throughout the country. 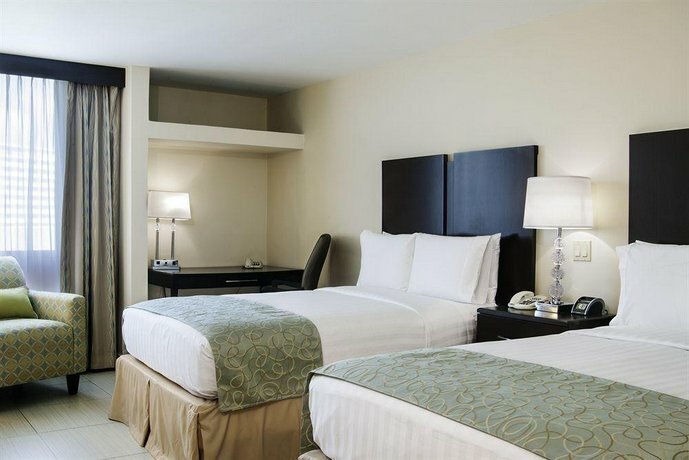 Theft from hotel rooms occurs in both urban and resort areas. Stay in busy, reputable and well-protected hotels and always verify the identity of a visitor before opening your door. Ensure that your personal belongings, passports and other travel documents are secure at all times. In Panama City, high-crime areas include Calidonia, San Miguelito, Rio Abajo, El Chorillo, Ancón, Curundú, Veracruz Beach, Parque Soberania and Tocumen, as well as bus stations and shopping areas on Avenida Central. Do not walk alone after dark in Panama City and stay within well-known tourist areas. Remain vigilant in all public places, especially at airports and bus terminals. Avoid displaying signs of affluence or carrying large sums of cash, and be alert to your surroundings when using automated banking machines. Demonstrations and protest marches over various social and political issues occasionally occur in Panama City near the university, and on main streets and highways. These demonstrations are unpredictable and could potentially lead to violence. Avoid large gatherings and demonstrations, and monitor local news reports. Poor road conditions, dangerous driving habits, and poorly lit streets and vehicles are hazards. Keep car windows closed and doors locked at all times. Night construction on the Pan-American Highway is frequent. Be prepared for possible roadblocks. The southeastern coast of Comarca Kuna Yala, on the Caribbean, and Coiba Island as well as the entire length of the Pacific coast, are known as transportation corridors for narcotics. To visit the national park on Coiba Island, you must obtain special permission from the Panamanian Ministry of Government and Justice and the National Environment Authority. Travelling by local bus is not recommended, as these vehicles do not follow a permanent route, and are relatively unsafe. Registered taxis are the safest way to travel in urban centres. Sharing a taxi with strangers is not recommended, and passengers should sit in the back of the vehicle. Taxis are not metered, and fares are calculated according to the number of zones crossed to get to a destination. Agree to a fare before departure, as many fees are inflated for tourists. Some beaches on both the Pacific and Caribbean coasts can be dangerous, as there are strong currents and undertows, and drownings have occurred. Most beaches lack sufficient rescue equipment and are not adequately monitored or marked. Dial 104 to reach local police and 103 for firefighters. In some areas in Central America and Mexico, certain insects carry and spread diseases like American trypanosomiasis (Chagas disease), dengue fever, leishmaniasis, malaria, onchocerciasis (river blindness), West Nile virus and yellow fever. 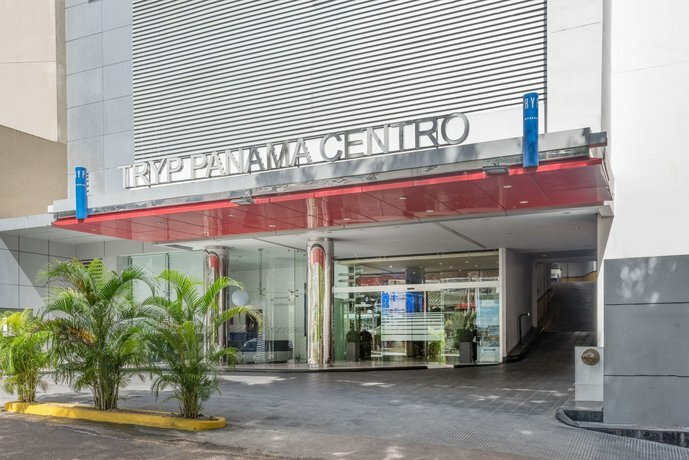 The Government of Panama offers free health insurance to foreigners arriving through Tocumen International Airport. Panama City has very good private hospitals and clinics. Public hospitals and clinics do not offer services comparable to Canadian facilities. Medical facilities outside Panama City are limited. Expect to pay in advance for medical services, including emergency care. Penalties for use or possession of illegal drugs in Panama are very strict. Offenders can expect long jail sentences and heavy fines. Panamanian law requires all individuals to carry official identification documents at all times. Failure to produce identification upon request may result in travellers being taken to jail and charged a fine. Under the Panamanian penal code, knowingly infecting others with a sexually transmitted disease is a crime. Although homosexual activity is not illegal, discretion is highly recommended in public places since homosexuality is not socially acceptable in all areas. There may be curfews for minors (under 18 years old) in Panama City. Minors circulating alone late at night in Panama City may be detained by police until their parents can be contacted if the police deem that they are involved in suspicious activities. Fines may be imposed. Ask permission before taking photographs of individuals, particularly of children and women. When taking pictures of indigenous persons, it is normal to be asked to pay a small fee. Canadian tourists can use their provincial driver’s licences in Panama for a period of up to 90 days. Although vehicle insurance is compulsory, many Panamanians drive without it. In the event of an accident, call 104 to reach the police, and do not move the vehicle until you are advised to do so by a police officer. The official currency in Panama is the Balboa (PAB), which is used interchangeably with the U.S. dollar (USD). Because of problems with counterfeit US$50 and US$100 bills, carry small denominations of U.S. dollars. The rainy season extends from April to December. Occasional flooding can occur, making some city streets impassable. You should keep informed of regional weather forecasts and plan accordingly. Western Panama is located in an active seismic zone.